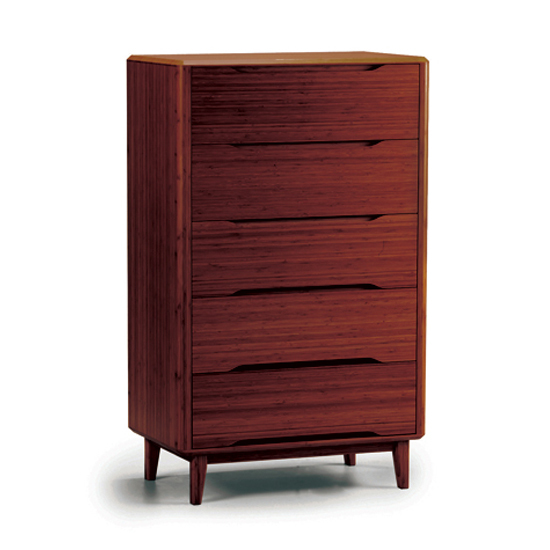 The Currant chest features mid-century modern design and rich black walnut wood. The chest has five drawers. Size: L 32"W 19"H 51 1/2"